Yeah, so, its been out for awhile now, but I’ve just gotten the chance over the holiday weekend to watch it. Now, we all know I am a history buff, especially WWII. I Frikkin’ LOVED this movie. It was honest and blunt. It was in your face on the realities of these armor crews in WWII, and how the Germans really did have superior armor divisions and tanks. And not only that, but in the stories of each member of the Fury family. They came from all different walks of life, loved and hated one another, but no matter what, their Fury was home. I just loved it. 5 stars from me. 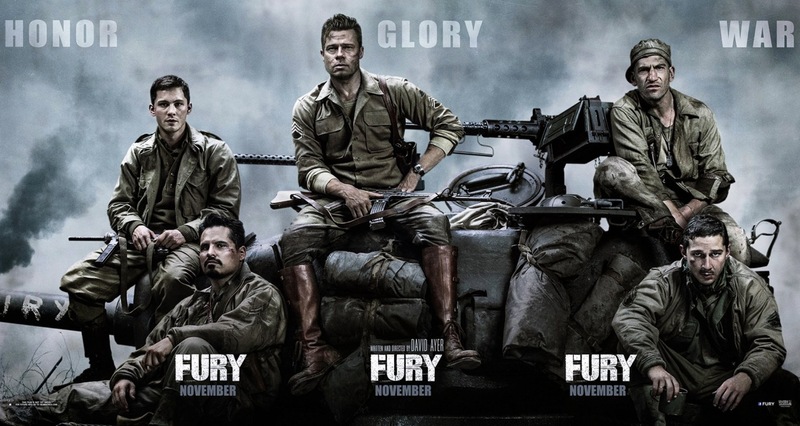 But again, WWII buff…oh, and Brad Pitt. ~drools~ I love him in just about everything he is in. I like him best in hard nosed gruff roles. I prefer his cleaner cut look though. This entry was posted in Blog, Book, Contest, Horror Writers Association, Humanity, Life, Movies, My novel, Nerdgasm, Netflix, People, Promoting, Promotion, Publishing, Ramblings, Reviews, Writing, Writing Competitions.